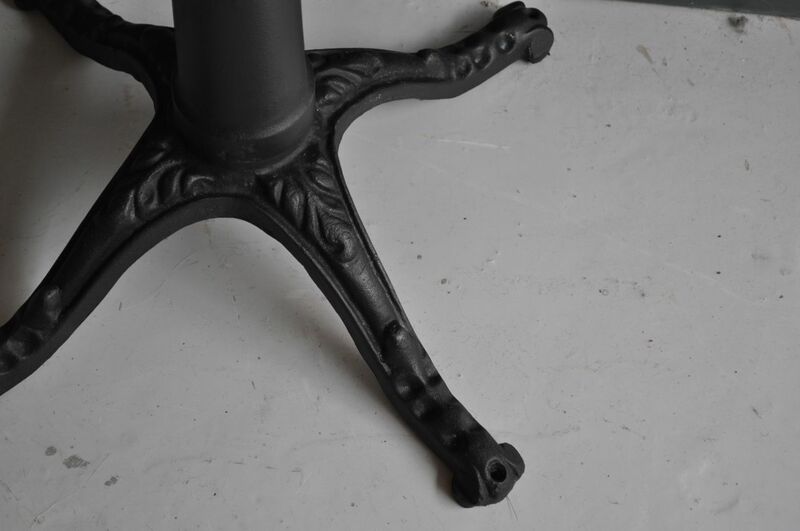 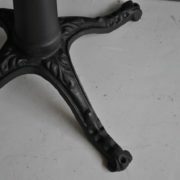 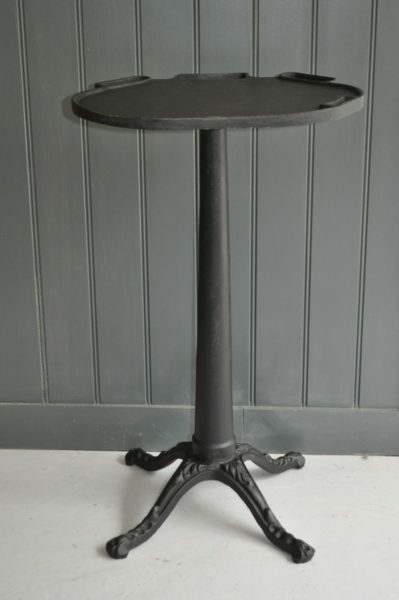 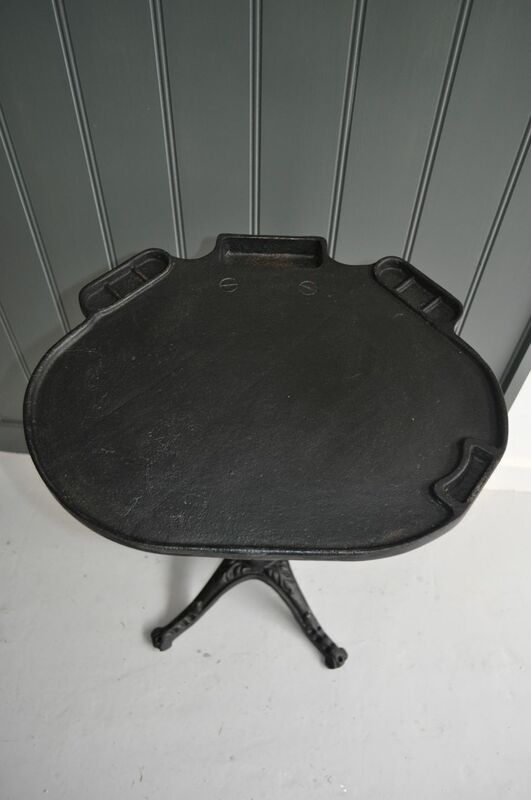 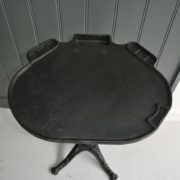 Late 19th Century cast iron table with decorative quadripartite base. 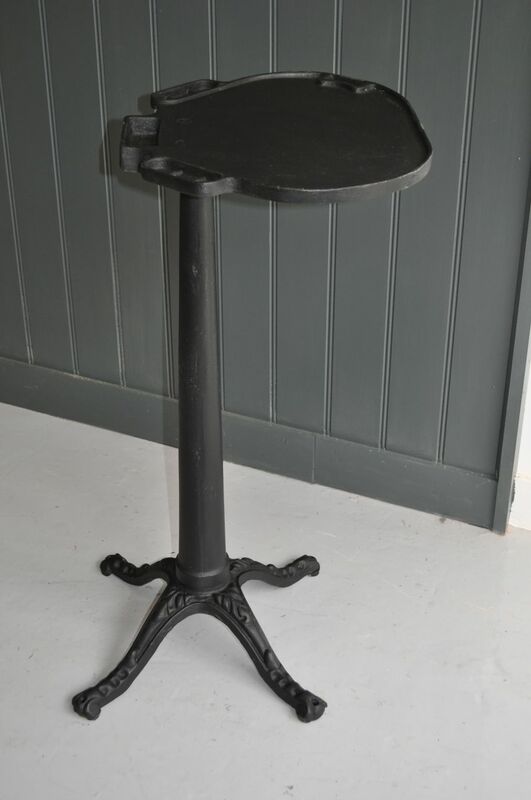 Not entirely sure, but I suspect it was a doctors or dentists work table. 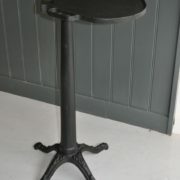 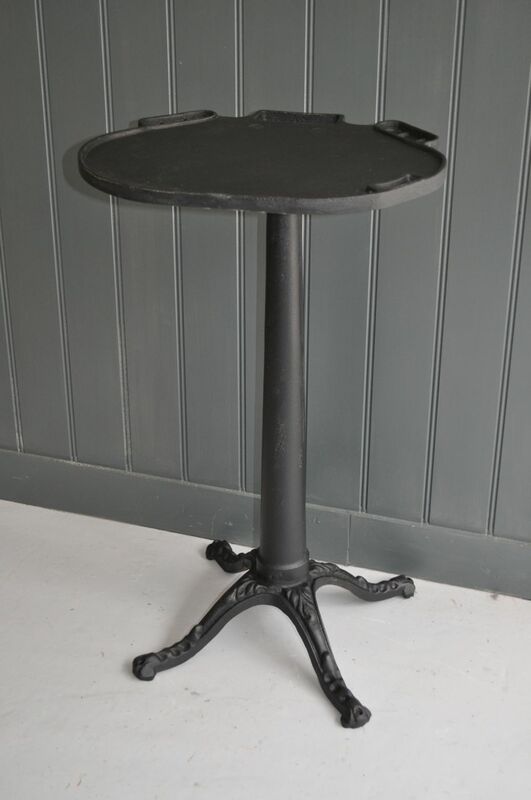 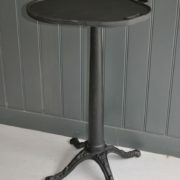 Newly painted in black and waxed, it would make a super drinks table or plant-stand.